Almond milk is made from grinding and then soaking almonds in water, so almond milk’s two main ingredients are completely natural, and as you know, obviously have many benefits. In the case of almonds, healthy fats, vitamin E, trace minerals and fiber are all reasons health experts love recommending eating almonds regularly. But what about almond milk–do the benefits still hold up? Almond milk is not actually “milk” as most of us think of it. That is, it contains zero dairy and is completely derived from plant products, making it a popular vegetarian or vegan milk-alternative. The “milky” white liquid is what is left behind after blending almonds and water together, and then straining out the almond “meat” using a cheesecloth, so that only a cloudy and slightly nutting-tasting liquid is left behind. When it comes to nutrient availability, basically you can think of almond milk as being better than some milk alternatives, like regular cow’s milk or soy milk for example, but not necessarily a beverage that has lots of offer. This is especially true when many artificial ingredients, synthetic fortified nutrients, sweeteners and texture-stabilizers are added.­­Because almond milk involves straining the “pulp” of almonds out, many of the benefits are actually lost (especially protein and fiber). That being said, almond milk isn’t totally useless and some almond milks are definitely better than others. On the plus side, almond milk is lower in calories than most other milks (including regular dairy and other plant-based milks) with just 30 to 60 calories per cup. 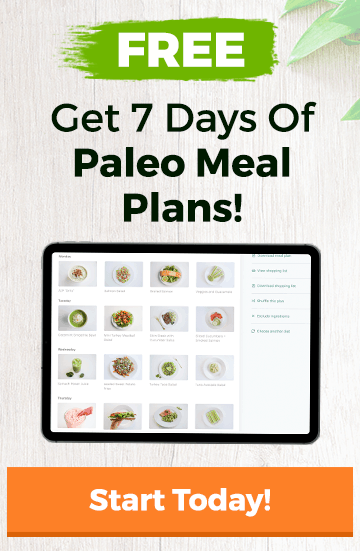 It’s low in protein, and lacking any fiber at all, but it does usually have about 6 grams of fat, which is polyunsaturated (a good or bad thing depending on who you ask). Since most brands are fortified, almond milk can also provide vitamin D, A, E and calcium (even though this isn’t naturally occurring or as beneficial as getting these nutrients from other sources). Manufacturers of almond milk also worry that consumers won’t want to drink it because it lacks certain nutrients found in dairy milk, like vitamin D for example, and therefore they add synthetic fortified vitamins and minerals to compete with cow’s milk. This is exactly the reason you might see almond milk (or other milk alternatives for that matter, like rice, cashew, hemp and soy milks) toted as being a “great source of vitamin D” or other nutrients; not because they naturally have these nutrients, but because they’ve been artificially added in. Why You Should Make Your Own! As a general rule, it’s always best to make your own. A basic homemade almond milk recipe will include only basic ingredients like almonds, water, salt, vanilla extract and maybe a natural sweetener, like maple syrup. The same isn’t true of most store-bought almond milks, so use some caution when buying packaged kinds. Nearly every brand of cartooned almond milk is going to be made with lots of other not so great or natural ingredients: fillers, thickeners, extra flavors, sugar, artificial flavoring, etc. Why do store-bought almond milks tend to be packed with so much junk? Just like with most packaged foods, it basically comes down to manufacturers wanting to make more money. Since the tiny fat molecules in almond milk tend to separate and go bad after a short period of time, losing its taste and appearance, ingredients need to be added to keep a consistent look, to preserve freshness and to kill bacteria that can grow. The Bottom Line on Almond Milk? While it doesn’t really offer much in terms of nutrients, it tastes pretty great and is a good stand-in for other milks when you’re baking, eating grain-free granola, or whipping together a smoothie. It’s a fairly easy process to make your own almond milk, so this is the best route to take whenever possible. Making pomade almond milk will ensure you avoid added ingredients like fillers, extra unnatural flavors, thickeners, and preservatives. To make your own almond milk, get organic (unbleached, salted, roasted) almonds and grind them in a high speed blender with filtered water, then you strain the pieces out and add whatever flavoring you’d like (some raw honey, pure maple syrup, coconut palm sugar and vanilla extract for example). This is not a very time-consuming process, but if you want an even easier option, you can look for certain brands of almond milk made with less added ingredients. Currently only a few select companies sell quality almond milk, so you’ll want to check the ingredients carefully. Try to find a brand that doesn’t use carrageenan and lots of sugar (like Silk for example). Buy “unsweetened” whenever possible, although vanilla flavored is usually okay because the taste usually comes from vanilla extract and not added sugar. 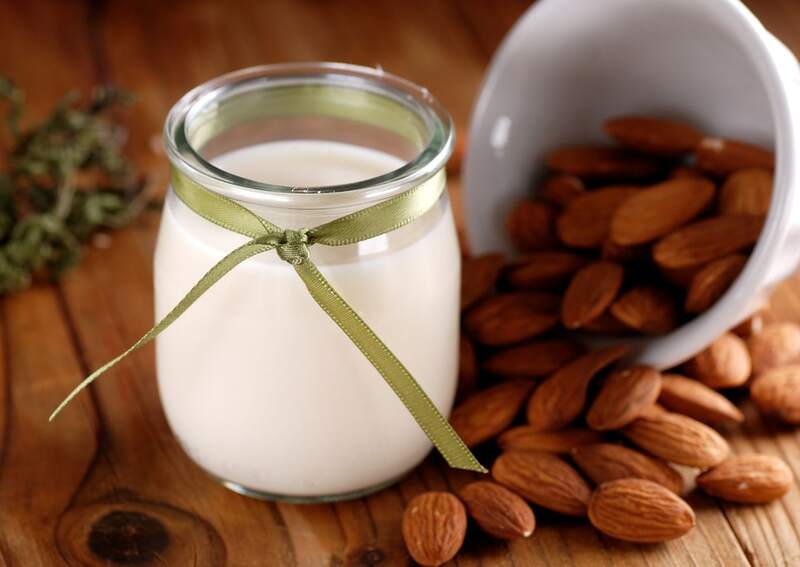 When making almond milk yourself, soak almonds first for at least 8 hours. I’ve left them overnight. Rinse the almonds with cold water, then add a 2:1 ratio water to measured pre-soaked almonds. i.e. I measure one cup of almonds, soak them in about 4 cups of water. Rinse, then I add just under to 2 cups of cold water with soaked almonds to the vitamix. My almond milk only last 2 days in the fridge. I use it as cream in my coffee. While I agree that almond milk is a better non- dairy alternative to soy milk, and that commercial but milks often leave much to be desired, I wonder about what looks like typos or incorrect autocorrections in this article. I want to try making my own almond milk, but I plan to use organic, raw, sprouted nuts… Not roasted salted ones as the article says. Doesn’t that make more sense?